I love boho as much as the next girl, but I always need a bit of sparkle too! 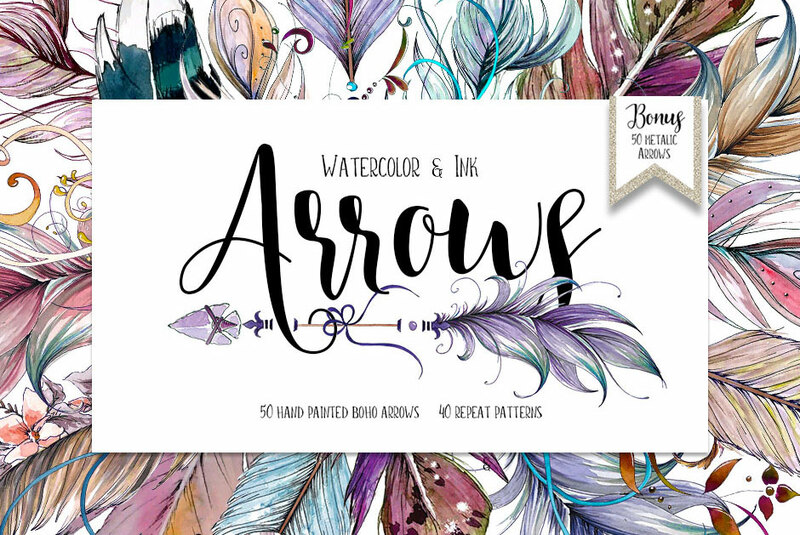 This package of watercolor and ink boho arrows is perfect to add a boho vibe to your projects while keeping it ultra fem. Simply add the arrow clip art to any of your cards, wedding invites or greeting cards and get your party started! Easily create fabulous logos, branding, packaging and have the trendiest original look for your new business. Pick your favourites and put them on canvas, quotes or banners and enjoy your creation every day. 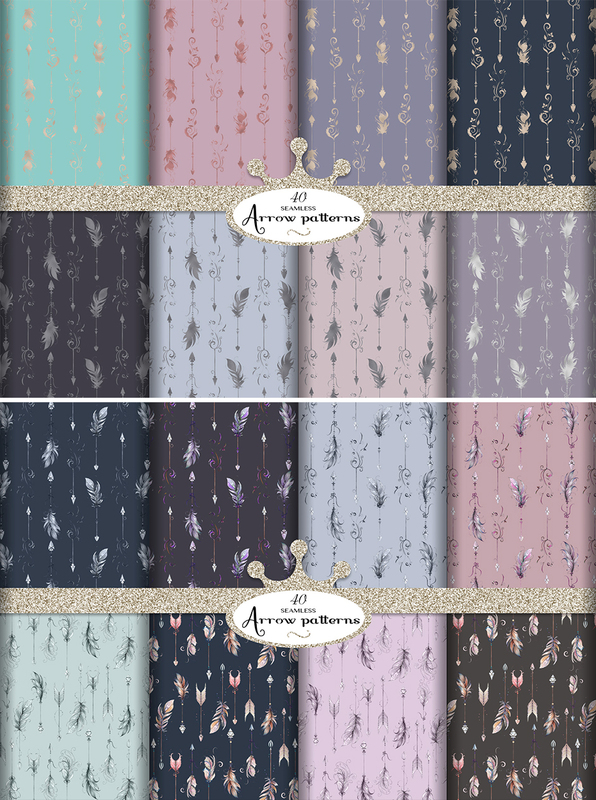 Design your own fabric, wallpaper, or scrapbook paper with 40 different seamless patterns or create your own. With 100 arrows to choose from, the options are endless! All the files are 300 ppi and large; all arrows and feathers are .PNG (between 8000 – 10000 x 2500 approx. depending on the length of the arrow) and the seamless patterns are .JPG 5400 x 5400 tiles.